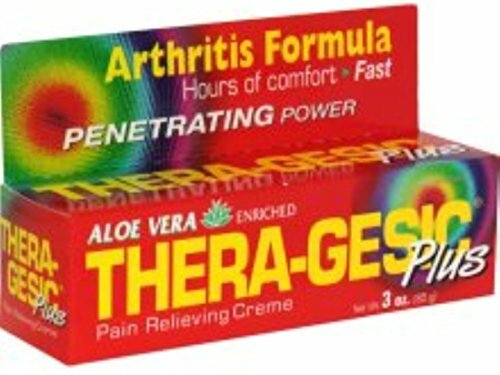 Thera-gesic pain rellieveing creme, Aloe vera Temporary relief of minor aches and pains of muscles and joints associated with: Arthritis. Simple backaches. Strains. Bruises. Sprains.